Skype is loved my millions users worldwide for its great features. You can call your friends and family all over the world using Skype calls. 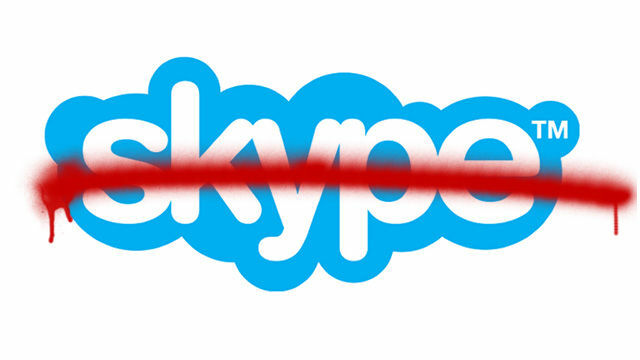 Unfortunately, Skype blocked in UAE (the United Arab Emirates) by main Internet Service Providers (Etisalat and DU). Let’s find out how to unblock Skype in UAE? Today there are lots of services similar to Skype and according to Google Trends, Skype is among the most popular VOIP calling services in UAE. Is skype blocked in dubai? It sad to say but YES! Almost all such calling services are blocked now in the country. Why is Skype Blocked in UAE? Skype is blocked in Dubai and others emirates because of country’s Intenet censorship. VOIP services are under complete control of the government. They do not give license for VOIP calling services to other companies. Only Etisalat and DU can provide such features and their prices are so high! Millions of expats working in the country cannot call their families. The same thing about tourists, who want to share their impressions with friends and family. We believe that people must have an opportunity to stay in touch with close people. So there is a good way to use Skype and similar services like Viber, Line, IMO, WhatsApp and others in the UAE. Using simple tool like VPN (Virtual Private Network) you can easily unblock Skype in Dubai and others parts of UAE. VPN is a Virtual Private Network – special encrypted tunnel inside your Internet connection which helps to mask your real IP address. When your ip address is hidden you can easily bypass all Intenet restrictions and access any blocked sites or services. So if you want to unblock Skype calls in UAE you can simple use VPN. You can use VPN on any device like mobile phone (Android , iPhone and others), tablets, computer and any other device which works with VPN. Enjoy Skype without any limits. Using VPN is simple and safe. Try today for free and enjoy Skype in UAE.